As a donation processor, Merkle Response Management Group understands the fundraising challenges that many nonprofits face. Today it is more challenging than ever to convert new donors to become second-year donors, and increasingly more difficult to retain the donors you already have. External factors, like rising mail costs, technology advancements, changes in giving behaviors and the influence of for-profit brands have introduced new obstacles to overcome, forcing many nonprofits to make changes to existing fundraising strategies and priorities. Nonprofits can no longer afford to play by the traditional rules of fundraising, which is why Merkle RMG has created a strategic service offering to help nonprofits combat the challenges of retention and lifetime value: Rapport. Rapport is our collection of fully outsourced donor stewardship solutions that harness the power of technology and leverage our existing processes. Its solutions include improving undeliverable mail processes and mail deliverability, the stewardship of existing donors, new donor welcome and conversion, mid-level and high-value donor engagement, and sustainer retention. Watch the video below to learn more about Rapport. Undeliverable mail is an expensive problem for many nonprofits – from the money spent on mailing an appeal to the lost donations because the donor never received it. Merkle RMG can help your nonprofit improve undeliverable mail processes and overall mail deliverability with Rapport’s Undeliverable Mail Improvement services. In 2018, the United States Postal Service (USPS) reported 38.6 million address changes but over 45.7 million Americans moved that year – that left roughly 24 percent of these moves unaccounted for with the USPS. A costly and seemingly perpetual problem, Merkle RMG has several services that help nonprofits reduce the amount of undeliverable mail and improve overall deliverability. Our Undeliverable Mail Improvement services address two key areas – 1) returned undeliverable mail pieces, and 2) finding the best mailing address for each donor. Like any other piece of mail, Merkle RMG processes undeliverable mail pieces as well. Through this process we capture vital donor information to ensure your database reflects the most up-to-date donor information. By consistently updating your database with this information, you will reduce the amount of mail being sent to an incorrect address and increase the number of fundraising appeals reaching your donors. We process each piece of undeliverable mail, collect the relevant information on the yellow nixie sticker – like a change of address or if the individual is deceased – and either create an output file, or directly key these changes into your database. 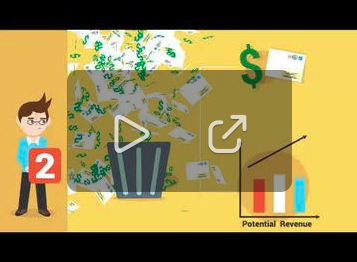 Learn more about our undeliverable mail processing services in our short 2-minute video. 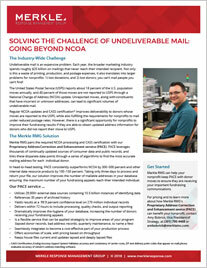 For nonprofits to benefit from reduced postage rates, the USPS requires quarterly NCOA updates. These updates only account for the change of addresses that are reported to the post office. That means each year, nearly 9 million moves are not reported and therefore are not updated in the NCOA database. Merkle RMG has built a data service to bridge this gap ensuring nonprofits have the most up-to-date address information for each donor. We call this our Proprietary Address Correction and Enhancement service (PACE). PACE is powered by tens-of-thousands of consumer and public record data sources, through a series of algorithms it finds the most accurate mailing address for each donor. In head-to-head testing, PACE consistently out performs NCOA by 300 – 500 percent, and other internal data products by 100 – 150 percent. Taking only three days to process, our solution can easily fit into your production schedule and dramatically improve the number of mailable addresses in your database, maximizing your fundraising efforts. 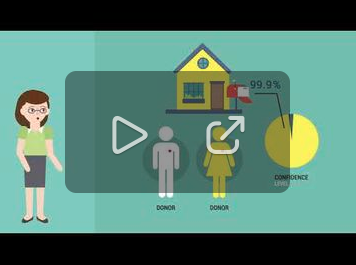 Watch our short video to learn how your nonprofit can benefit from PACE. Over 29,000 data sources are used containing over 10.5 billion instances of unique identifying data. References 35 years of archived history, unlike NCOA that only goes back a maximum of 48 months (sometimes only 18 months depending on the version used). Nonprofits can update with confidence, as there are over 270 million individual records with a 99.9 confidence rate. For over a decade, nonprofits have struggled with declining retention rates. Rapport’s Donor Stewardship solution improves year-over-year donor retention and lifetime value through strategic communication and engagement efforts. Since 2014, existing donor retention has remained between 35 – 37 percent and as a result nonprofit donor files have continued to shrink. As nonprofits’ budgets and resources are stretched and donor expectations continue to grow, tackling the challenge of improving the giving experience feels like a daunting task. Our Donor Stewardship solution removes the complexity and effort of creating a stewardship strategy and program. 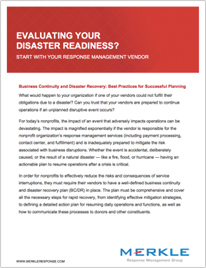 This solution is comprised of turnkey services that transition the management and execution away from the nonprofit, and to Merkle RMG. We act as an extension of your nonprofit treating donors with the same care and attention as if we were a member of your internal donor care team. And because of the unique place that we sit within the donation process cycle, we are able to execute personalized stewardship efforts in both a timely and cost-effective manner. Multi-channel acknowledgements leveraging our proprietary software platform that enables response decisioning based on pre-established parameters. Outbound thank you calls for events like specific donation amounts, qualification into a new giving program, or lapsed donor reactivation. Pre-mailing and post-mailing donor outreach calls to leave donors with a positive experience before receiving an important fundraising appeal. Donor engagement services, like comment mail follow-up and “closing the loop” services. Special communications to donors who reach important milestones or anniversaries in supporting your organization. High-value package re-mail services to ensure those more expensive mailings are delivered to your valuable donors. Mid-level and planned giving pipeline reports to help you continue to move donors up the giving ladder. Donor stewardship plays a key factor in donor retention, read our white paper to learn how smarter stewardship can improve retention. Nonprofits fail to convert nearly 70 percent of their newly acquired donors into second-year donors. Rapport’s Welcome and Conversion solution, helps nonprofits transform an impersonal welcome into an engaging and memorable one that will inspire new donors to make that second gift. According to Blackbaud’s donorCentrics® Index of Direct Market Fundraising report for the third quarter of 2018, new donor acquisition fell by 14.3 percent. And the Fundraising Effectiveness Project reports that new donor retention dropped over four points from 2017 to 2018. Not only are nonprofits acquiring fewer donors, they are retaining less of the donors they have acquired. Merkle RMG’s Welcome and Conversion solution enables nonprofits to engage and cultivate their donors starting with the very first gift. We’ve brought together the tactics that many in the fundraising industry consider to be best practices and we have operationalized each, so they can act as either a standalone service or work together as a coordinated strategy. Merkle RMG handles the many moving pieces of a welcome program removing the cumbersome vendor coordination usually required. Through timely and cost-effective multi-channel communications, our solution empowers nonprofits to cultivate new donors by making an impactful first impression and by investing in the relationship beginning with that first gift. Our Welcome and Conversion solution helps nonprofits understand the needs, preferences and expectations of new donors. Understanding these personal donor elements allows nonprofits to communicate with their donors in a relevant and comfortable manner. We will work with you to develop the ideal welcome strategy that will increase the number of donors who give and give again to your organization. Mid-level and high-value donors account for nearly one-third of a nonprofit’s annual revenue but they are often neglected and overlooked by the organization. Through Rapport’s Mid-Level and High-Value Donor Services solution, Merkle RMG will develop and execute a cultivation and engagement strategy that will boost the retention and lifetime value of these donors. More often than not, mid-level giving and high-value donor programs are lost somewhere between the mass marketing and major giving programs. While these donors may only make up a mere 1 percent of a donor file, they generate a substantial amount of annual revenue. Mid-level and high-value donors are a reservoir of steady and generous support if stewarded properly. Merkle RMG’s Mid-Level and High-Value Donor Services solution transforms these donors from feeling neglected and unappreciated to feel valued and esteemed. Our solution is a completely outsourced operational solution that delivers a timely, consistent and personalized giving experience. Like our other Rapport solutions, the services supporting this solution were developed to be implemented as a standalone service or to work in concert with one another to create a full stewardship program. We will work with you to create a strategy that aligns with your program’s goals, priorities, and budget. Program welcome series that includes a welcome letter and a second outreach by either phone, email or mail. A timely thank you call or email to be followed by a mailed acknowledgement. Quarterly outreach to keep donors informed and up-to-date on the impact their support is making to the nonprofit’s mission. Other timely stewardship efforts to recognize birthdays, program anniversaries, and other important engagement milestones. Dedicated program resources to ensure a consistent point of contact and experience for each donor. Inbound communication management and follow up to ensure all donor needs, inquiries, and requests are being responded to in a timely manner. Nonprofits invest a significant amount of money and effort to acquire a sustainer, making it even more painful when these donors lapse and are not able to be recovered. By leveraging our technology and taking a proactive approach, Merkle RMG helps nonprofits reduce the number of lapsing sustainers and improve their recovery rate with Rapport’s Sustainer Management solution. A sustainer program is one of the best ways for nonprofits to increase the lifetime value of their average donor. And it provides a consistent monthly revenue stream. For these and many other reasons, it is why a sustainer program is such an important part of a nonprofit’s fundraising program and why retaining as many sustainers as possible is imperative. Leveraging Aeon, our proprietary sustainer processing and management tool, Merkle RMG’s Sustainer Management solution provides nonprofits full visibility into their program, automated reporting that informs pro-active outreach to stay ahead of expiring credit cards, various methods to recover donations and recapture lapsed donors, and most importantly the ability to build a relationship with each sustainer. Multi-channel program welcome and benefits fulfillment. Payment expiration reports that inform monthly outreach to each sustainer for payment updates (phone, email or mail). Outbound lapsed recapture calls and credit card recovery calls to retain as many sustainers and dollars as possible for your nonprofit. For check sustainers, we provide monthly invoicing. Quarterly stewardship outreach to keep sustainers informed regarding the impact their support has on your organization’s mission. Anniversary and milestone recognition to show appreciation for their ongoing commitment. Inbound sustainer care services that manage and respond to inquiries and other maintenance requests.